Having travelled the world and studied many spiritual traditions, Máire finally found truth in the Tao. She trained directly with Grandmaster Mantak Chia in the Tao Garden, Thailand and became the first certified Universal Healing Tao Instructor In Ireland. Máire is the founder of Universal Healing Tao Ireland and organises Mantak Chia's visits to Dublin. 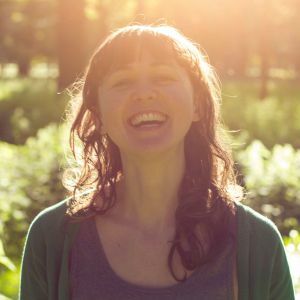 Through her dedication to her practice, Máire continues to experience huge shifts in energy and personal transformation. She is passionate about sharing these well preserved ancient practices with others so that they may experience the benefits too. Máire teaches classes, courses and workshops year-round - Chi Kung/Qi Gong, Foundations of the Tao (basic Taoist practice), Healing Love, Tao Yin (Taoist yoga) and Female Sexual Alchemy.